Here at Airedale Springs, spring assembly work is something we have become extremely adept at. 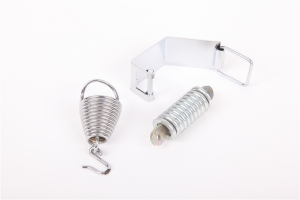 As a leading spring supplier, we pride ourselves on providing our clients with a comprehensive service, and in addition to our range of innovative spring products, we also offer an assembly service for all your spring assembly needs. At Airedale Springs we are equipped to undertake a variety of assembly work, from the simple to the complex, and always work to the highest possible standards, ensuring that our customers are provided with the best possible service, every time. Our expert team can use their vast knowledge and experience to complete a wide variety of spring assembly work to the most exacting standards. We can also tailor our services to meet your individual requirements, and thanks to the flexibility of our service we are able to provide virtually any combination of service that you might require. 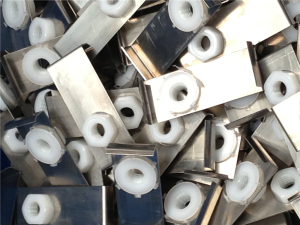 Our professional team can add our springs to finished units you’ve supplied, or simply assemble individual parts according to your specific needs. What’s more, not only can we assemble components from parts manufactured by us, we also offer an assembly service for components produced by other specialists too, making us an ideal choice for all your spring assembly work. At Airedale Springs we pride ourselves on our reputation for excellence. Our cutting edge technologies and extensive experience allows us to produce an array of innovative solutions to meet the varying and exacting requirements of our customers. If you would like more information about our high quality spring assembly work, or any of our other products and services, please don’t hesitate to contact one of our expert advisors by giving us a call on 01535 643456 today.